There’s one thing many movies, TV shows, social media, and stores have in common: the classical music that is found playing in the background. Whether in a sad scene between two lovers, in the speakers in an elevator, or in an advertisement for a pair of shoes, you’ll find it. It may be subtle, but if you pay close attention, you’ll be able to hear it. Now although classical music is woven into little parts of everyone’s lifestyle, it is still undeniable that classical music has fallen away from cultural mainstream, taking only a backseat in present media. It’s clear that today’s society is immersed in the growing technological industry and pop culture. Classical music should be a part of the fast-paced population, as it will ensure a well rounded lifestyle and a myriad of mind and spiritual benefits that lead to a healthier, happier being. Classical music’s popularity is slowly dying out, but it is obvious clear that it deserves to be promoted and incorporated throughout the world. 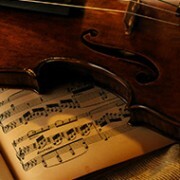 In the past few decades, there has been a large decline in the popularity of classical music. The League of American Orchestras released an analysis showing a continual drop in attendance and sales that began around 1990. The National Endowment for the Arts released information also showing the percentage of Americans who attend classical music performances had declined by thirty percent since 1982. Organizations such as the Chicago Symphony’s tickets sales have shown this decline as well, falling from a full audience in the 1990’s to only filling eighty one to eighty four percent of seats today. Opera houses and symphonies have not been filled, and many major arts organizations throughout the country have been forced to remove staff and artists due to budget cuts and decreasing annual profits. Studies have shown that classical music provides the listener with a variety of benefits, the first and foremost being the impact of brain development. The brain is by far the most important part of the human body. Classical musical training physically develops the left hemisphere of the brain, as shown by neuroscientists at Harvard Medical School and affects the brain’s organization and abilities through its rhythm and melody. Another study conducted in 1993 by psychologist Frances Rauscher called “Music and Spatial Task Performance” involved 36 college students who listened to 10 minutes of a Mozart sonata before completing several spatial reasoning tasks. The students who had listened to Mozart received higher IQ scores, and created what is now known as the Mozart Effect. The Mozart Effect is the idea that playing classical music will make human beings smarter. In 1999, officials in Sydney, Australia, implemented Operation Music, where they played classical music and reduced train violence and crime. In 2001, police in West Palm Beach, Florida invested their time and money in installing speakers in an abandoned building in a neighborhood with a high crime rate. Classical music blasted from these speakers 24 hours a day, contributed to a decrease in theft, shootings, and gang drug dealing and violence. Three years later, Police in London, England experimented with a similar technique. Playing classical music for six months in London’s dangerous neighborhoods showed robberies being cut by thirty three percent, vandalism being cut by thirty seven percent and police assaults down by twenty five percent. Incorporating classical music into any lifestyle is simple. Instead of turning on the Top 40’s radio station, try out a classical music station. 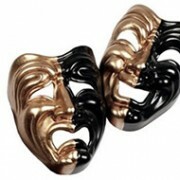 For social events, try a new scene such as a symphony concert or opera. Before labeling classical music as boring, try integrating it into your life. For example, listening to soft slow pieces can be used to aid in sleeping while loud fast pieces can be used for energetic moments. It takes little effort to visit a public library and browse through classical music collections, or simply search on the Internet. Composers layer their work with deep emotional content and technicalities that can be interpreted in many ways. 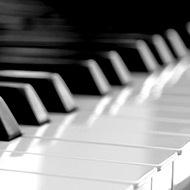 When a piece is played, there is much more than just the black and white notation. Ninety nine percent of the art of a composition is found in its interpretation. “For a composition is, after all, an organism. It is a living, not a static, thing”(Copland 160). The discovered complexity in the piece, exactly like the system of an organism, creates an atmosphere where the music comes alive and tells a story, while at the same time, building intellectual and emotional internalization. Very few arts have this ability to evoke a wide range of emotions and abstract thinking. One can listen to the same piece multiple times and still feel and interpret a different meaning each time. It is a universal language and can be enjoyed by anyone no matter what age, ethnicity, intellectual level, or gender, needing only your ears, emotions, and imagination. 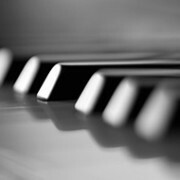 As “The Enjoyment of Music” says, “The language of music cannot be translated into the language of words. You cannot deduce the actual sound of a piece from anything written about it; the ultimate meaning lies in the sounds themselves” (Machalis & Forney 2). In addition, classical music is timeless. Each generation that listens will enjoy the music the same way the previous generation did. And although this endangered art takes time to appreciate and value, when one finally discovers the magic within, the experience will be irreplaceable. “Effect of Classical Music on the Brain.” Classical Forums – Classical Music Forums and Information. 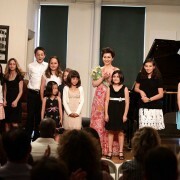 31 May 2010 <http://www.classicalforums.com/articles/Music_Brain.html >. “The Hidden Benefits of Classical Music – Free Online Library.” News, Magazines, Newspapers, Journals, Reference Articles and Classic Books – Free Online Library. 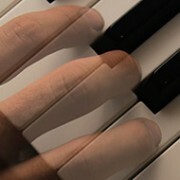 31 May 2010 <http://www.thefreelibrary.com/The Hidden Benefits of Classical Music-a01074014467>. “How music affects your mood.” Essortment Articles: Free Online Articles on Health, Science, Education & More.. 31 May 2010 <http://www.essortment.com/all/musicaffectmoo_rwdj.htm>. “The New York Times Log In.” The New York Times – Breaking News, World News & Multimedia. 31 May 2010 <http://www.nytimes.com/2005/06/25/arts/music/25ravi.html?pagewanted=all>. “Sobering statistics – Sandow.” ArtsJournal: Daily Arts News. 31 May 2010 <http://www.artsjournal.com/sandow/2005/04/sobering_statistics.html>. “The benefits of listening to classical music – by M. L. Kiser – Helium.” Helium – Where Knowledge Rules. 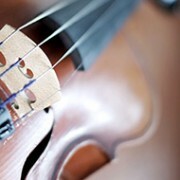 23 May 2010 <http://www.helium.com/items/1523070-the-health-benefits-of-classical-music>. Copland, Aaron. What to listen for in music. New York: McGraw-Hill, 1957. “Harvard Gazette: Music on the brain.” HPAC – Harvard Public Affairs & Communications. 23 May 2010 <http://www.news.harvard.edu/gazette/2001/03.22/04-music.html>. Forney, Kristine, and Joseph Machlis. The enjoyment of music. New York: W. W. Norton, 2008. “Teachers: Benefits of Music Education.” Classics for Kids. 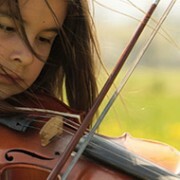 23 May 2010 <http://www.classicsforkids.com/teachers/education/benefits.asp>. 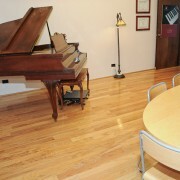 Student Recitals Open House will be held on September 11th, 2010 10:00 AM till 12 PM.